Behind every successful association is a group of dedicated individuals. For Asset | Econometrics, one may think of its active members, and in particular its board members, who all contribute to making the study association an invaluable addition to the student life of econometricians. However, there are some other people that are inextricably connected to the association, but who rarely take a place in the spotlight. In this volume of Nekst, we get to know these individuals better. This way, we give them the recognition they deserve in a newly introduced article: Familiar Faces. For the first edition, Job Hoven and I interviewed a true ‘people person’, someone who always brings a lot of positive energy and who is an essential part of our unforgettable nights at De Heuvel Gallery: Patricia Villevoye! If you have ever been to a drink of Asset | Econometrics in the last years, you will undoubtedly have seen Patricia before. Most of you will probably have spoken with her as well, as she loves chit-chatting with other people. 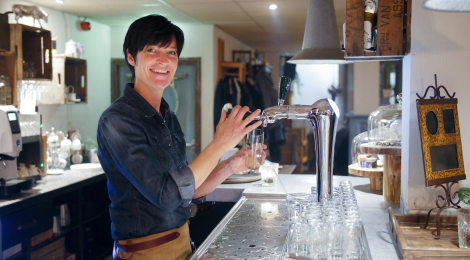 Together with her partner, Patricia has been running party venue De Heuvel Gallery, which includes café De Nachtwacht for six years already. Here, Patricia hosts all kinds of parties – including my own graduation party – and the drinks of several associations. She is mainly concerned with making sure that each party is as fun as can be. Of course money has to be made as well. Therefore her partner is more in charge of the commercial side of the business. He also hosts the larger events, such as techno parties, since Patricia is not in her element when she has to keep track of a large staff and so many guests. Patricia thoroughly enjoys her work: she loves being among students as it keeps her young. According to her, the students at her drinks are always happy and never cause problems. However, on second thought, ‘never’ may not be the correct word. She remembers a drink from study association De Smeetskring in café Qwibus. Back then, when she did not own De Heuvel Gallery yet, café Qwibus was the place to be for all the drinks. During this particular drink, two freshmen snuck upstairs, where they found some bean bags. Since they already drank some beers, it obviously seemed like a good idea to jump on these bags. Well, it was all fun and games until one of these bean bags popped and everything was covered in white from the fillings. When Patricia confronted the students – one of them looking as white as a snowman -said: “I really did not do it Patricia!”. It took them forever to clean the place, even with the help of the board members, who were not amused either. However, the two guys apologized to her and gave her some flowers afterwards, so Patricia can laugh about it now. Interestingly enough, running a party venue was not always Patricia’s dream job. In fact, as a child, she always said: “I am not going to work in the hospitality industry.” Growing up in Goirle, her parents also owned a café, so she quickly learned that having such a job often means having to work when others are free: in the evenings, during the weekends and even during the holidays. This was not quite the future she had in mind. However, Patricia has always been quite talkative, and she has always enjoyed being around other people. This may also explain why she did not enjoy studying, and why she often skipped classes. In the end, she did not finish her studies to be a social welfare worker. Instead, she started working as a receptionist at the social services office, after having done an internship there, because she loved the interaction with all the people. Altogether, she worked there for about twenty years. However, everything changed when she fell in love with her current partner. When she met him, her partner already owned café Qwibus, which was named differently then. However, he then started a new company, which took so much time that he was not able to run the bar by himself anymore. That is when Patricia quit her job and stepped in to take over a part of the work at Qwibus. It turned out that she was born for the job. She hosted the drinks of Asset | Accounting & Finance and De Smeetskring with great success and Patricia quickly became popular among students. Later on, Asset | Econometrics came into play when former board member Fang Qi approached Patricia for a constitution drink. Since then, Patricia has been indispensable for our association as well. Although Patricia loves her job and often works long hours (“forty hours is nothing”), she also has an enjoyable personal life. Most importantly, together with her partner she has two sons, aged fifteen and thirteen. This family of four – or five if you include their blue-eyed white cat Snoopy – likes to spend time together. During the weekends, Patricia can often be found along the sidelines of the football pitch, cheering for her sons. Actually, she is more concerned with chatting with other parents than watching the game, so she may not notice every goal. However, if she does see them score, she is extra proud. Her sons are quite sporty, but Patricia is quite adventurous herself too: for instance, skydiving is still on her bucket list. During their last holiday to France, they also did various sportive activities, such as canoeing and zip wiring. However, her favorite holidays are still those in which she can fully relax: going to an all-inclusive resort in Turkey or Egypt and just lying in the sun until all her muscles hurt from being immobile the entire day. That is the perfect way for her to clear her mind. Another hobby that helps her relax, is being creative with all kinds of arts and crafts activities, such as decorating plates with porcelain. She loves pottering around, not having to think. Perhaps the hobby that Patricia is most passionate about, is singing. Ever since she was a child, she has enjoyed taking the microphone and singing her favorite songs. Patricia likes a wide variety of music, anything from top 100 songs to disco and dance classics, and from ACDC to Robbie Williams. Her favorite song though, which you may have heard her sing occasionally during the drinks, is ‘Why Tell Me Why’ from Anita Meyer. Patricia has not only sung in front of the mirror or from behind the bar her entire life though. Together with a colleague from the social services office, she started her own cover band. They found two other musicians on Marktplaats and soon after they gathered the rest of the band. They had everything they needed: three singers, a drummer, a guitar player, a bass player, and even their own soundman. Together, they covered all their favorite songs, and played on weddings and other parties, which they did for ten years. She loved performing on stage, however, her life changed when she started working in café Qwibus. Unfortunately, what she saw from her parents during her childhood also applied to her own life. Working in the hospitality industry means you often have to work when others are free. As a result, it became impossible to combine the band with the bar. Her band practiced hard every week, but Patricia simply did not have the time to learn the lyrics and be prepared all the time. In the end, she decided that her work came first, so Patricia and the band each went their separate ways. Looking at the future, we asked whether Patricia and her partner have any ambitions to grow, perhaps expanding with extra venues. While her partner can sometimes be full of new ideas, Patricia likes it just the way it is now. They already sold café Qwibus because they were competing with themselves, and now they can fully focus on De Heuvel Gallery. It is a great location with enough room for new concepts, such as their own indoor barbecue restaurant Smikken & Smullen. Patricia also thinks she will continue to host drinks and parties for many years to come, since that is what she loves the most. 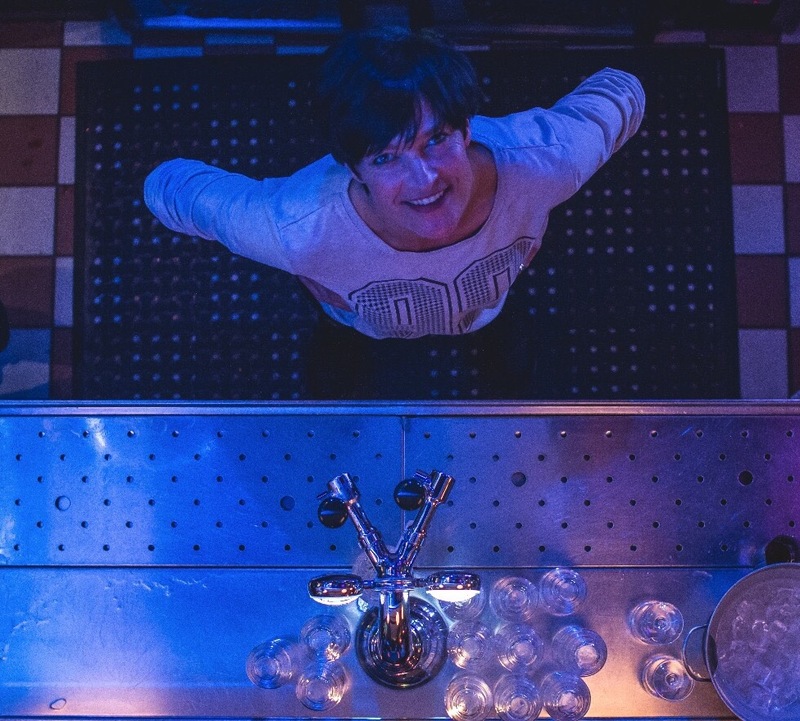 We would like to thank Patricia for the time she took to give us a nice insight behind the bar and into her life. Let’s hope that she continues to be a familiar face in the future, because I think we can all agree that she is a very important asset to our association.